The mass layoffs at ESPN reflect on our own economy and our own lives. 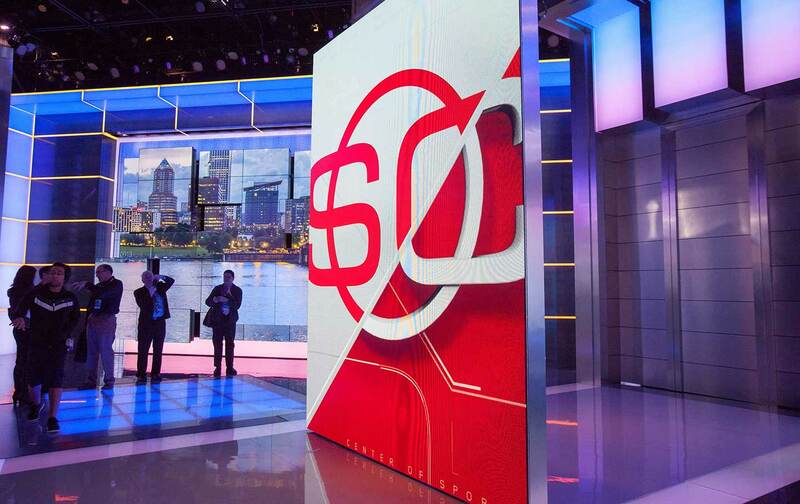 The layoffs of over 100 people at ESPN, including some of their most recognizable and accomplished journalists, has shaken the sports world and created what for non-sports fans must be a puzzling level of grief across social media. It is worth explaining what we are losing, and what it says about my profession as well as the ruptured wall between journalism and entertainment. On the most basic level, it’s demoralizing that a journalist like Johnette Howard, who owned the story about the threatened strike of the US women’s hockey national team in the lead-up to last month’s World Championships, is now unemployed. In addition, not having Jayson, Stark who performed the impossible task of making baseball analytics fun, or Tom Farrey, who has done more than any reporter in the country to educate all of us about the professionalization of youth sports, weakens journalism. It also looks like some of the best shoe-leather reporters at the network—Ethan Strauss, Jean-Jacques Taylor, Ed Werder—were seen as expendable, while the professional pundits—in general paid far more than the journalists—are staying. The line between entertainment and journalism at ESPN has never been fuzzier. This hurts, because for all ESPN’s faults, its journalism has been critical to expanding the conversation on issues ranging from domestic violence in sports to concussions in the NFL. When ESPN covers these topics, they are more likely to become part of a national conversation. If you see any article that tries to blame ESPN’s economic struggles on the “liberal” tilt of the network, use those to line your birdcage. First, it’s not true. Second, it seems to be a reaction to the fact that ESPN actually has a laudable commitment to diversity and putting women, black people, and people of color in positions to actually talk about sports. This sends the alt-right sewers of the Internet and their minions at publications like the National Review into fits of hysterics. It’s an unserious argument made by unserious people. But there is more to the sadness in people’s reaction to this news. As has been widely reported, more retail workers have been laid off than the total number of working coal miners. The emerging “gig economy” leaves working people vulnerable. The layoffs at ESPN trigger our own economic insecurities—people who have been on our televisions, people we perceive of as having “made it” aren’t even secure—they were dismissed with a rote, scripted three-minute phone call. Then there is what ESPN has always represented, even if that representation has always been more Shangri-La than reality. I speak to a good many sports-journalism classes, and for these young people, landing a job at ESPN is discussed like the Holy Grail, the great brass ring. That has now been demystified, and I don’t think it’s ever going to come back, or if it does, it will be tarnished. The demystifying isn’t the big takeaway, though totally true. The real takeaway is piece by piece, you’re witnessing the end of journalism as a career path. Plenty of good work will continue to get done, but journalism, once a field, increasingly is becoming more like writing, an avocation that has never really sustained itself. This is spot-on correct. The fear is that what we are seeing at ESPN will be a stalking horse to further a process already underway. That gets to the last point. In an era of fake news and yipping heads, it has never been more precarious to be a journalist. You really have to love this work to endure it, but that doesn’t mean we have to endure its indignities. The people who have been laid off from ESPN have uniformly taken the high road on social media and said incredibly classy things about their former employer. They should be commended for this, but I think a little anger would not be out of place. It’s righteous to be angry about being treated this way, all for the high-minded purpose of placating the stock market. To say nothing is to accept it as the way it has it be. It reminds me of the old story of the frog in the pan of cold water who slowly and quietly dies as the heat is turned up to boil. If journalism is going to die, let’s not be content to be boiled alive. Let’s not be content to go quiet into that good night. The stakes are too high.